20+ Satisfied Clients across Asia, Europe, America and Australia. placements of 90% for its alumni. included VMWare and Mindtree etc. We trained several B.E./MCA students from prestigious institutions like CMR-IT, MVJ, Acharya etc. * Scholarships Up to 80%. "If you are a fresher start your career here, course is good, i learn many things. Thanks and all the best." "It's been a great opportunity to learn and imply new skills and develop the inner ability and to bring out the talent from you. Professional training and enables us to visualise the live projects, Have had a great experience learning here, happy to b part of Flappjacks Academy.. "
"I joined to mobile app development course as a noobie, as training progress has been pretty well I could able to pull off quite good. Exactly after a month, I could able to make the app by myself that's where I felt immensely lucky to be here for mobile app development course. 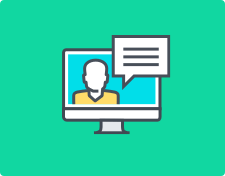 Obviously, credit should go to the trainers as they will be after you for every doubt that you need to be clarified in no time that you get. " "Flappjacks, the best place I've seen for the training on the technologies to develop mobile apps. And I like the way of interacting the trainer with us. They don't just simply cover the syllabus, they tried to understand the concept everyone by interacting individually. Best opportunity for the people who wants to be in the field of mobile app development. Finally I am thankful to the whole team for giving the support to us. " 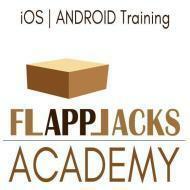 Flappjacks Academy conducts classes in Java Script Training, Mobile App Development and React Native Courses. It is located in Marathahalli, Bangalore. It takes Regular Classes- at the Institute. It has got 12 reviews till now with 100% positive feedback.